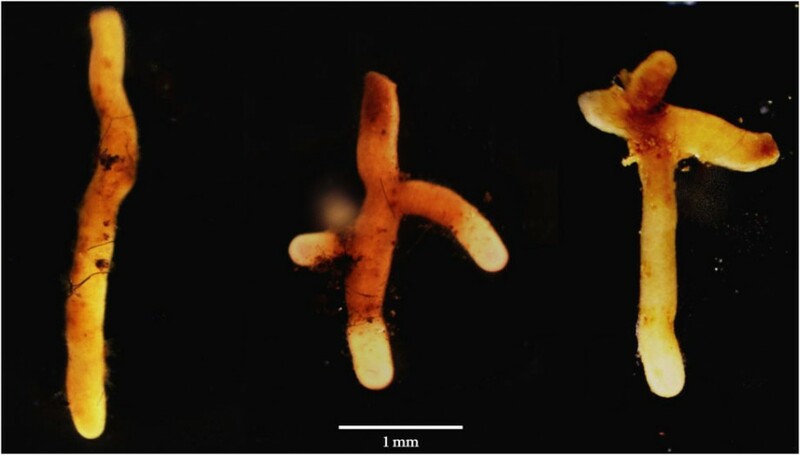 Ectomycorrhizal roots colonized by one Russula sp. (Russula vinacea Burl. ).